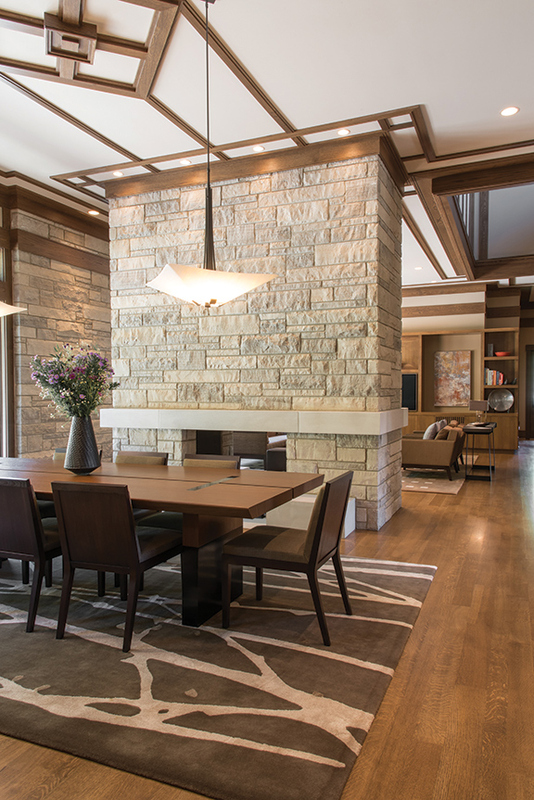 Custom-designed, this magnificent Wildwood residence integrates "the best of Frank Lloyd Wright" with its natural surroundings. 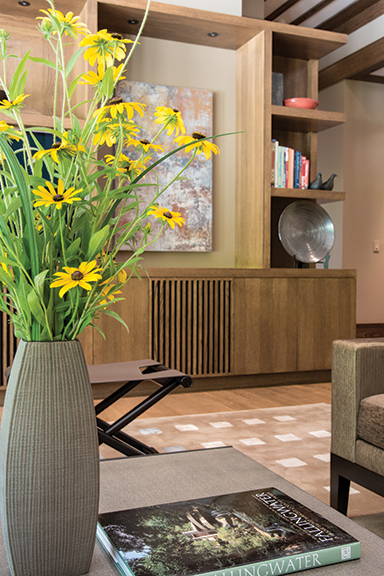 Above the living room fireplace is a 400-pound bronze sculpture derived from Frank Lloyd Wright's iconic design in the Hotel Geneva and fabricated by Eureka Forge. 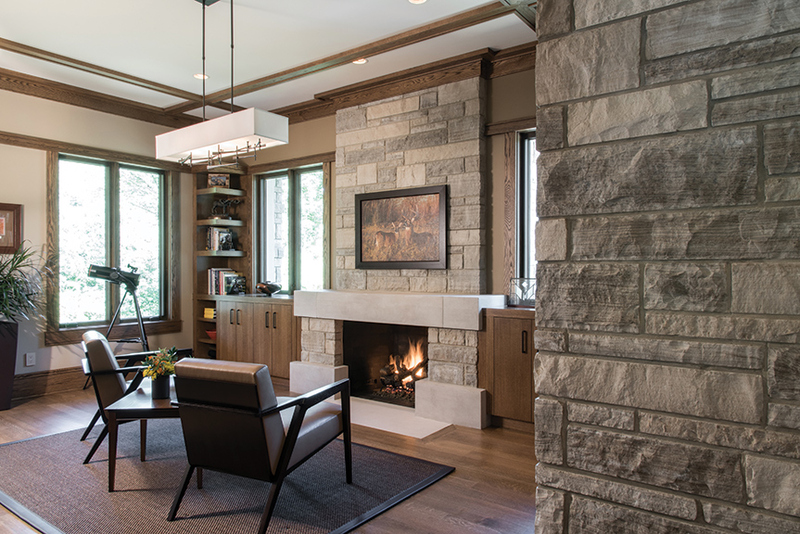 Designed by custom builder Dean Teiber, all of the home's white oak cabinetry is built-in and consistent with Wright's aesthetic principles. 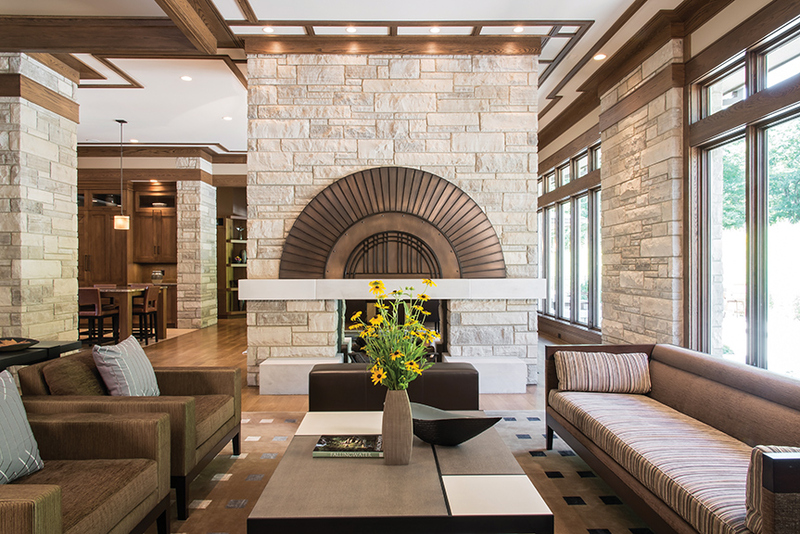 Set in a freestanding limestone wall, the see-through-fireplace separates the dining room from the living room. 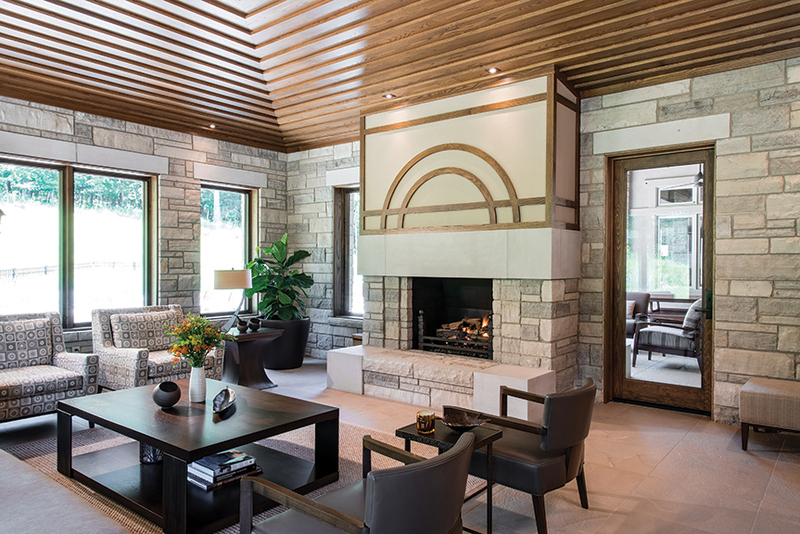 A dramatic "layered" ceiling tops the sunroom, which adjoins to the open-air patio room. Off the entry foyer, the vestibule soars to 30 feet. 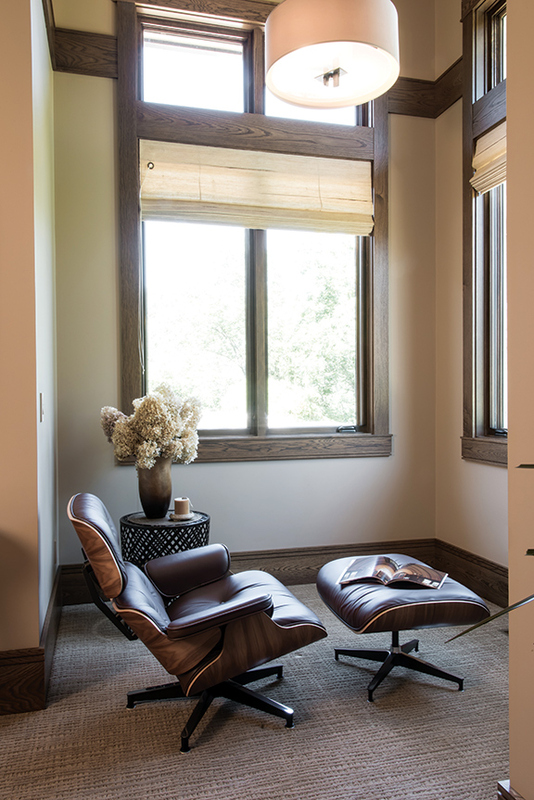 On the far wall is a Kit Hevron Mahoney painting, commissioned by the homeowners to reflect the wildflowers and grasses native to the property. 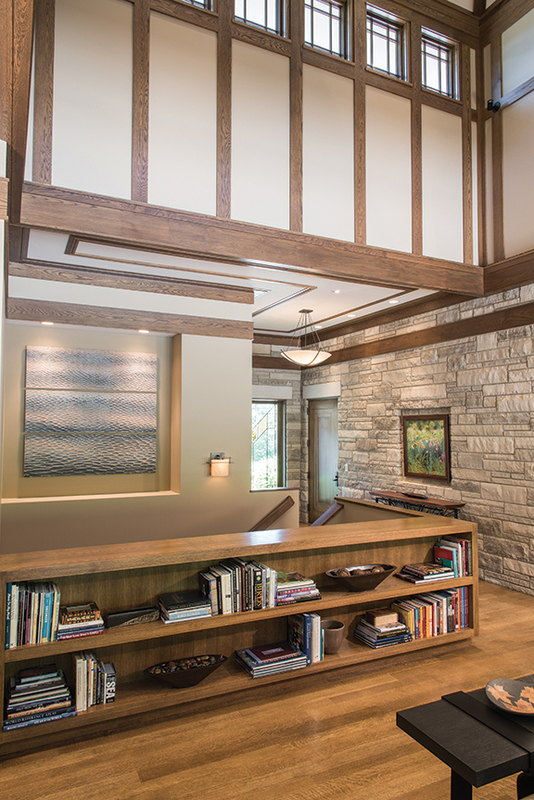 A tranquil retreat in every season, the library emulates the home's scenic surroundings with natural materials, panoramic views and wildlife paintings by Ryan Kirby. 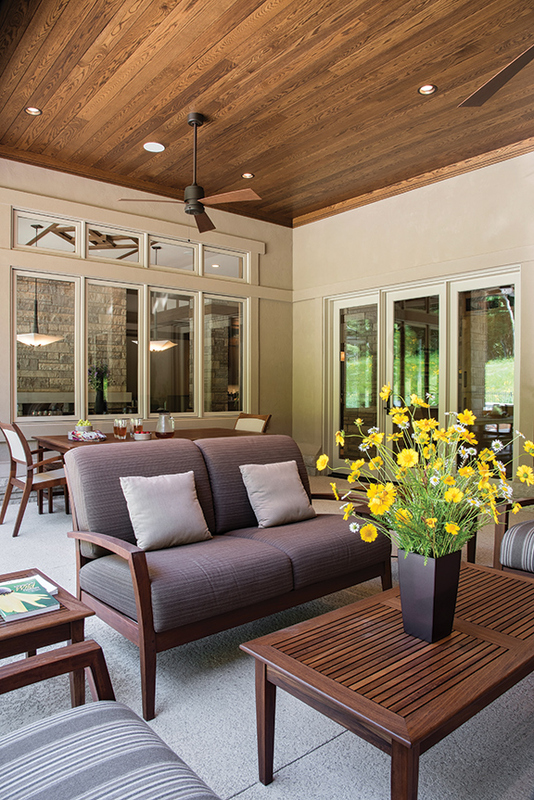 As luxurious as the interior, the patio room features an oak plank ceiling, Brazilian ipe wood furnishings and decorative concrete flooring. 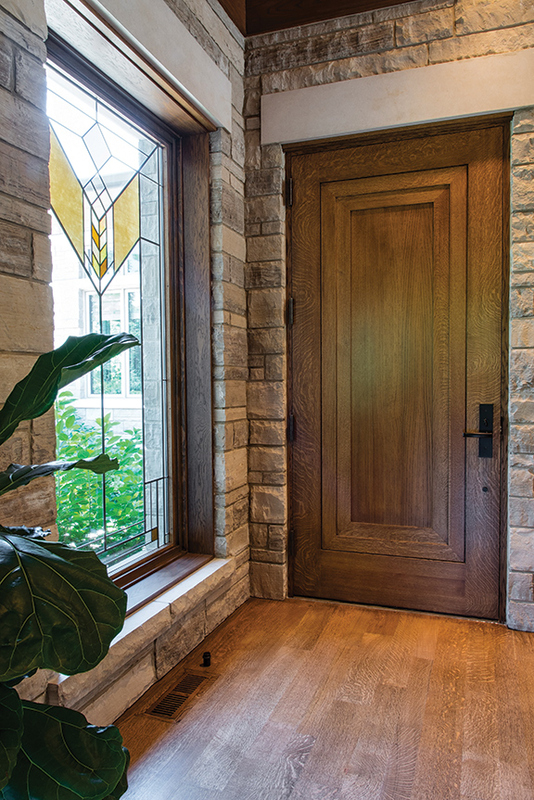 The "hidden" entry door is flanked by an exquisite art glass window, an authentic reproduction of Wright's Lake Geneva Tulip pattern, licensed and created by Oakbrook Essex Studios.